Black ruby color. 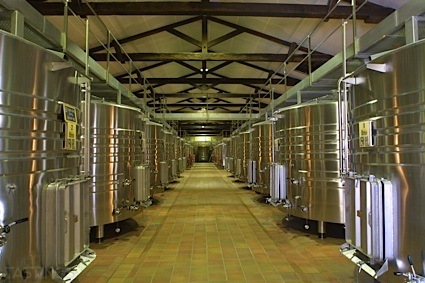 Aromas of vanilla bon bon, blueberry cake donut, berry jam, tobacco, raspberry granita, red bell pepper, and caramel latte with a satiny, vibrant, fruity medium body and an interesting, medium-long leather, spice cabinet, rosemary, and teriyaki jerky finish with moderate oak flavor. A juicy Zinfandel with gobs of vanilla and berry flavors. Bottom Line: A juicy Zinfandel with gobs of vanilla and berry flavors. 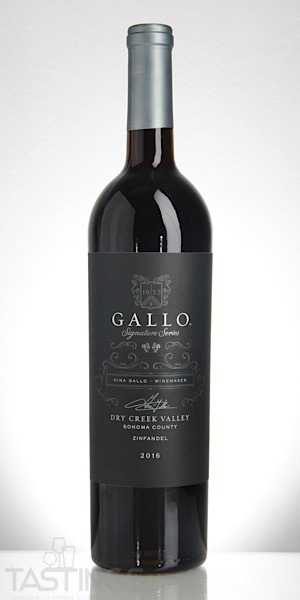 Gallo Signature Series 2016 Zinfandel, Dry Creek Valley rating was calculated by tastings.com to be 91 points out of 100 on 10/2/2018. Please note that MSRP may have changed since the date of our review.